A green juice is literally a nutrient fast food ! It packs in concentrated nutrients from green vegetables and leafy greens in their most easily available form. It takes 10 minutes to make, 5 minutes to drink and another 30 min for our body to absorb its nutrient goodness which includes a gamut of vitamins, minerals and phytonutrients. These help us clean out accumulated toxins ( preventing all kinds of disease in the future), help build clean blood ( improved circulation and immunity) and alkalize our cells ( healthier organs, more energy and vitality, better skin, hair and lesser inflammation). It a steal deal that you really should not be missing out on. 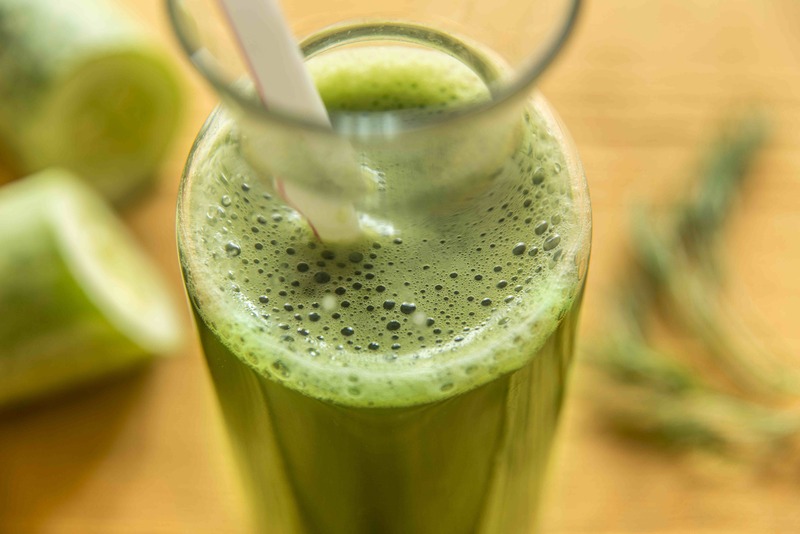 Now a single glass of green juice contains a lot of vegetables and leafy greens. If one were to try and eat these with their fibre intact, it would be quite a task. Therefore, a green juice is great if you’re looking to detoxify your system, give your immunity a boost, or recovering from an illness and need the nutrients, but do not have enough energy to actually take them in along with fibre. 4. Flavor enhancer ( Eg. lemon, ginger, kokam, gooseberry). If one likes sweet flavour, a fruit can be added (eg. apple, pear pineapple). So here’s are a couple of my favourite combinations, that probably do not require anything that you would already not find in your refrigerator.. cool and refreshing. Go ahead. Enjoy! lemon juice and rock salt to taste. lemon and rock salt to taste. Run all ingredients together through a regular blender till they are blended. Strain. If you like it think use a regular sieve, if you like it thin, use a muslin. If using a regular blender, you will need to add 1/2 cup of water to blend the ingredients. Do you have a cold press juicer? Even better. Because the cold press juicer extracts every bit of the nutrients from the vegetables, with adding in any water and because it uses the pressing method, the nutrients remain more intact.